These are indeed challenging times for immigrants and their families in the United States. The highly-politicized nature of their plight can also create challenges for humanitarian groups, like the Red Cross, whose work may appear to “take sides” in these debates. 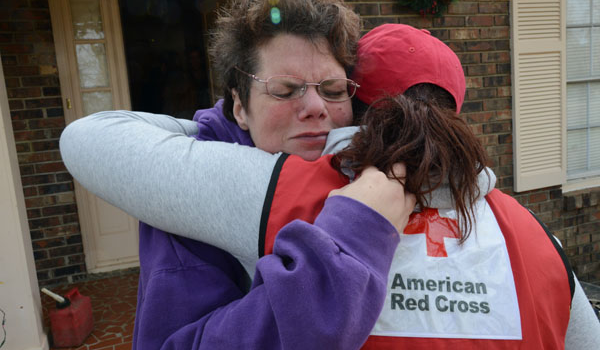 Since 1881, the American Red Cross has avoided taking sides in political debates. Instead, we have dedicated ourselves to providing care and comfort for vulnerable populations. Part of our pride in service has been our principle of Universality—that is, providing service without regard to race, religion, political affiliation, or any other reason. Hand in hand with Universality comes Neutrality, as taking political positions creates the appearance of favoritism in service. Internationally, our movement’s goal since Solferino has been to avoid the appearance of favoritism, enabling us to work in situations and places that others are unable to go. This is not to criticize others’ efforts, but is to explain our commitment to serve anyone in need, anywhere. One group in critical need today consists of legal residents and other immigrants attempting to travel legally to the United States. Recently, an executive order–enjoined in at least four federal courts—sought to change U.S. immigration policy. However, customs and immigration officials have continued detaining travelers despite court injunctions. This has resulted in confusion at airports for all travelers. And, for effected residents, it has meant being detained (at the Los Angeles International Airport and other airports across the country), sometimes for long periods of time. Many families have been separated without warning, so for relatives of travelers, too, it has been a time fraught with anxiety and fear. As many Red Crossers become more engaged in the effort to support detainees and family members resulting from the executive order, one service I am pleased the Los Angeles Region has to offer is our Restoring Family Links Program. If separated from families, potential detainees may be in need of our humanitarian services. And, if such requests are received, please know that our staff remains ready and waiting to assist everyone in need. 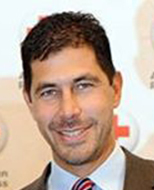 In general, Red Cross Restoring Family Links helps alleviate the suffering of family members separated by conflict, disaster, migration, or other humanitarian crisis anywhere in the world. This service gives families an alternative option to restore contact with the ones they love, and it is always free of charge. Some of the specific services our Restoring Family Links team in Los Angeles can provide include tracing, Red Cross messages, health and welfare inquiries, disaster welfare inquiries, International Committee of Red Cross and Red Crescent Societies (ICRC) travel documents, and information and referral services. In partnership with over 180 other Red Cross societies around the globe, Red Cross International Family Tracing Services accepts all cases where families have been separated as a result of conflict, disaster, or migration after the attempt to use traditional channels of communication has failed. As the current situation unfolds, potential clients may, in some cases, only be detained for a relatively short period of time. Others may be kept longer. In every case, we are standing by to offer the opportunity to send a brief (one or two sentence) oral message to a close family member who resides within the U.S. or any foreign country. We want to make sure every potential detainee has the opportunity to get in touch with family and inform them about their current situation.